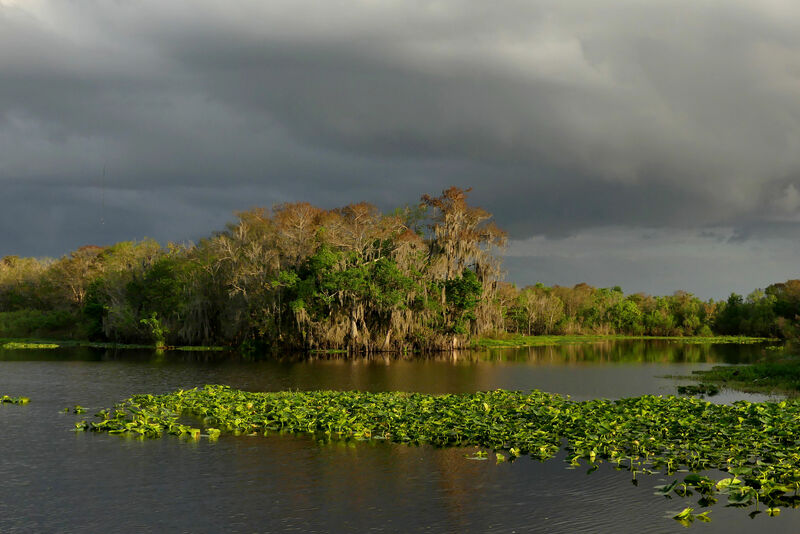 After leaving Lake Kissimmee State Park we headed north, ran the Orlando metro area traffic gauntlet, and arrived at Blue Springs State Park which was a new park for us. 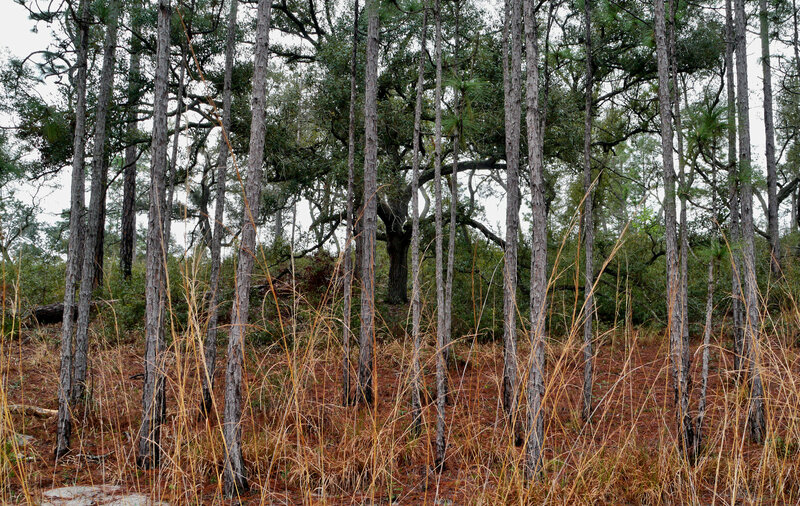 After spending a week there we would take relatively quiet back roads further north to Mike Roess State Park. The two parks couldn’t be more different. 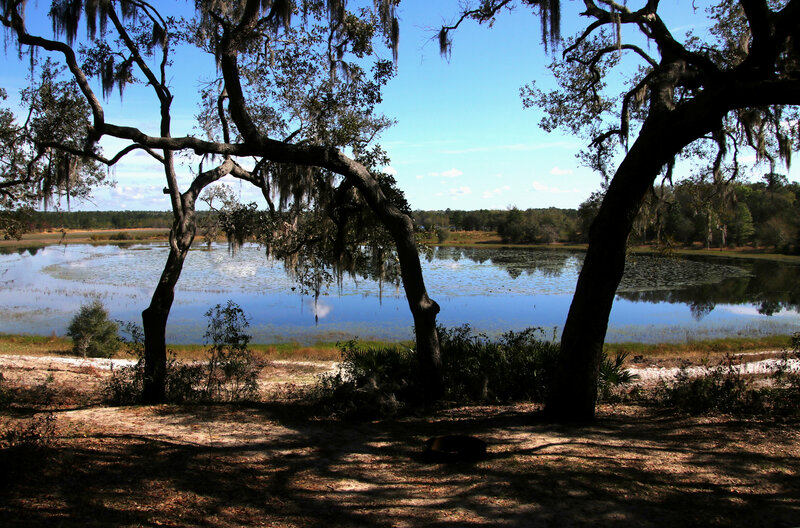 Blue Springs is a heavily used “day use” park with a small campground near Orlando while the larger Mike Roess SP was quiet and lightly used during our stay. Part of the popularity of Blue Springs can be attributed to the Manatees that inhabit the springs during the winter months and which had started to leave while we were there due to warmer weather. When one ventured away from the campground after mid-morning parking lots were pretty much full and there were always more than enough people in the park’s general use areas. 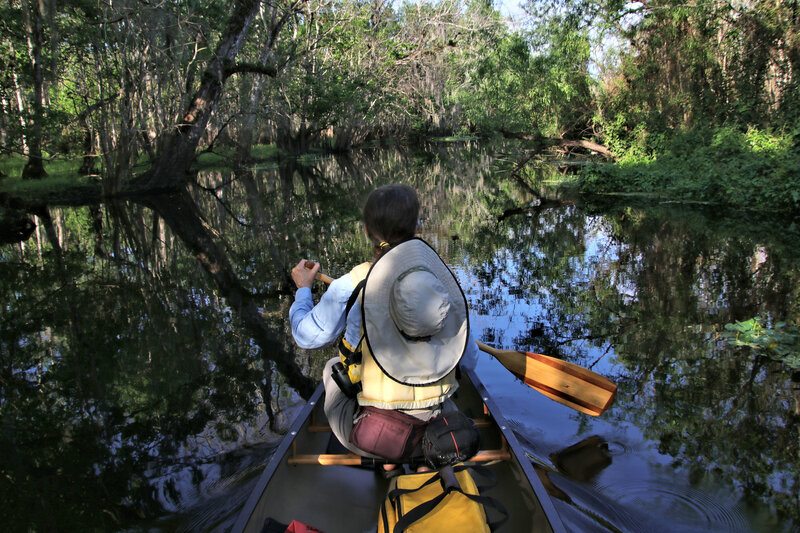 However, once on the water paddling into a secluded creek or cove things changed dramatically and the area felt like wilderness. 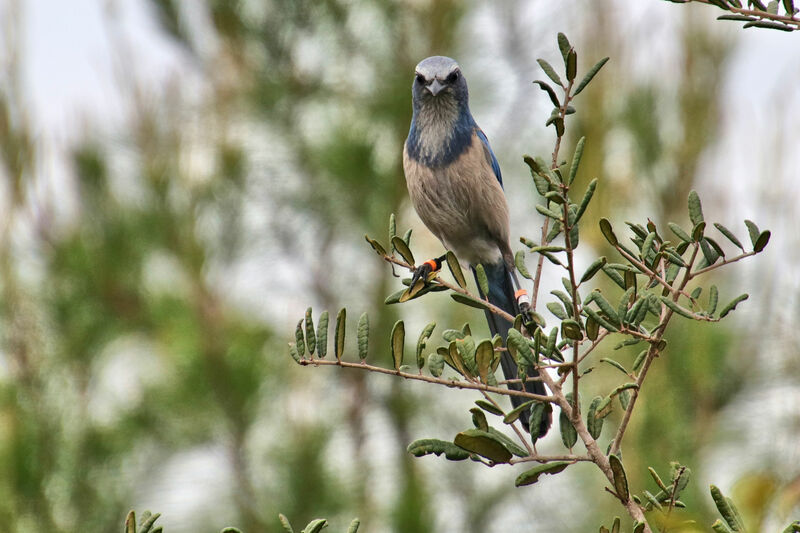 The big find while hiking the parks limited trails was the endangered Scrub Jay which is a bird we’ve been in search of for some time without success. 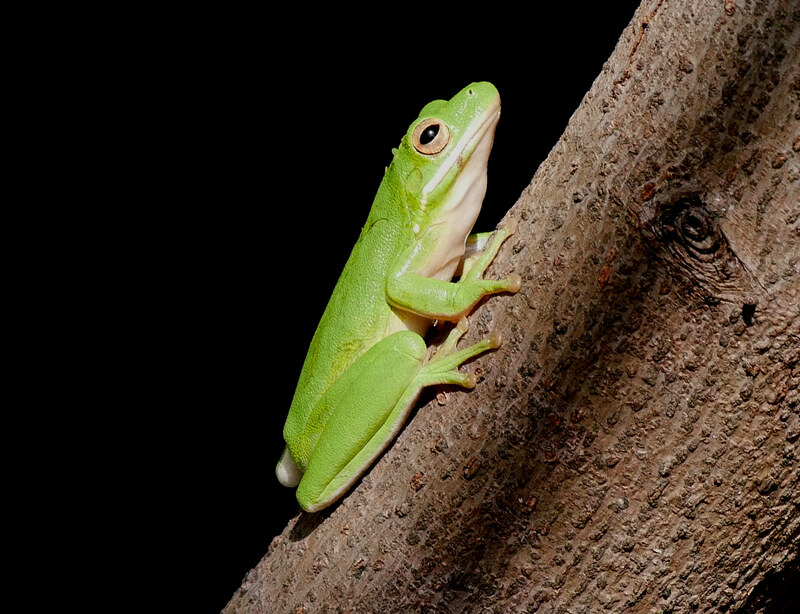 Habitat destruction appears to be the main reason for its decline. 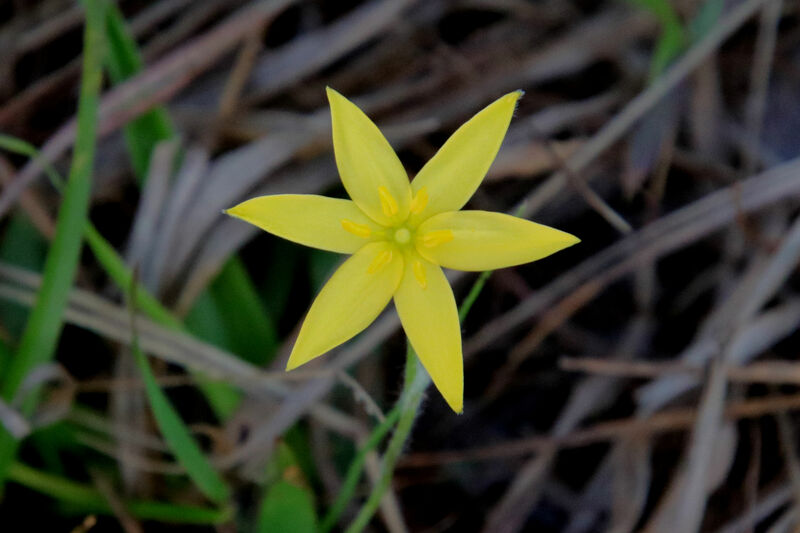 Yellow Star Grass occurred periodically along the trail in single blossoms. 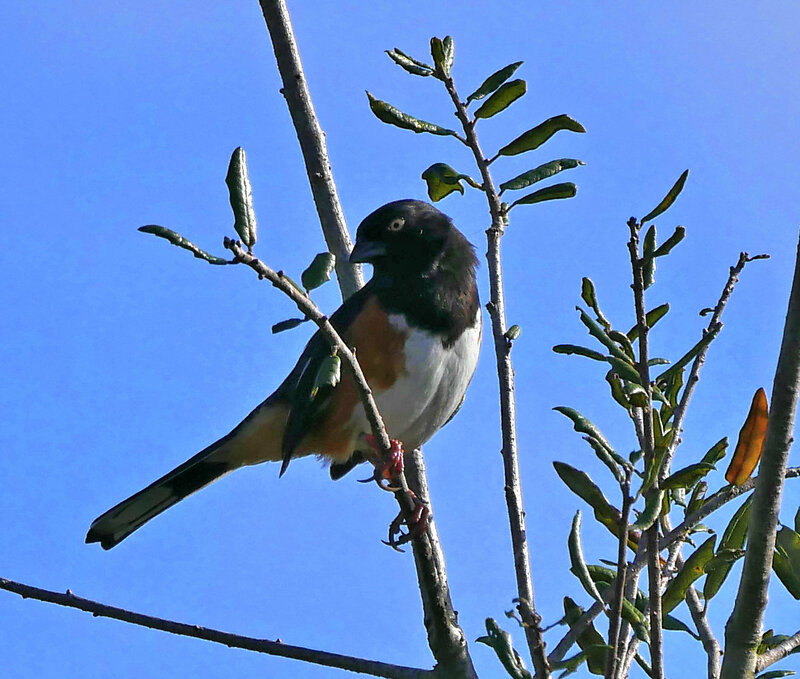 This Eastern Towhee was seen in the same scrub habitat as the jay, (Donna). 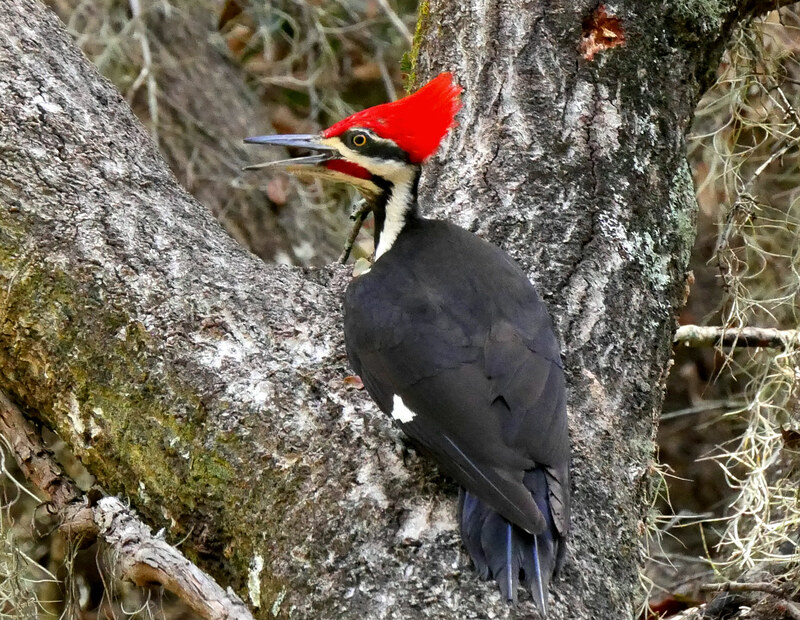 This Pileated Woodpecker was also seen along the trail as we searched for the Scrub Jays, (Donna). 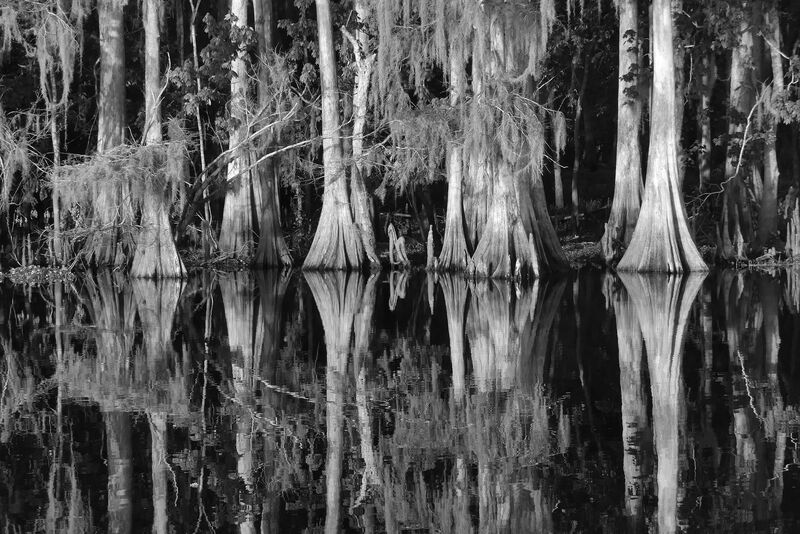 St Johns River near Blue Springs SP. 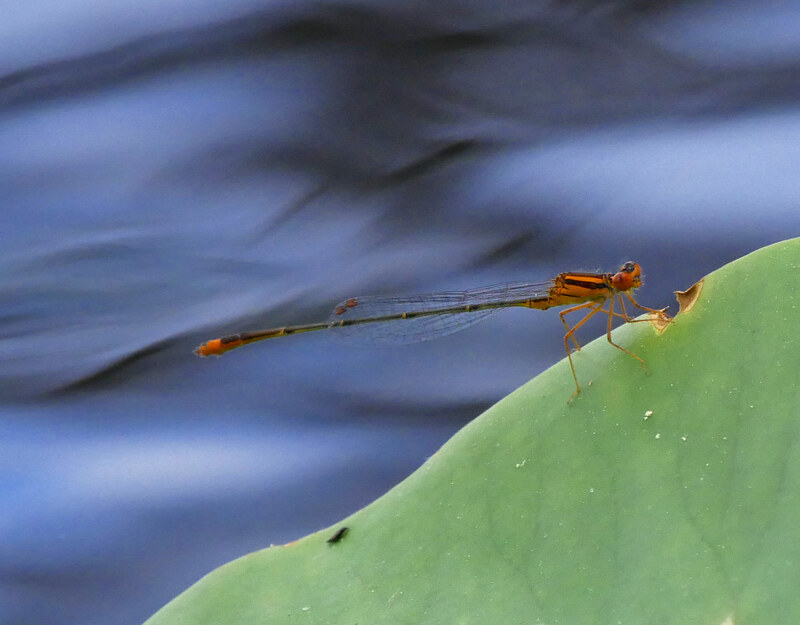 The extensive wildlife seen while canoeing was the big draw at Blue Springs SP. Our favorite paddle was the eleven mile loop that incorporated Snake Creek. 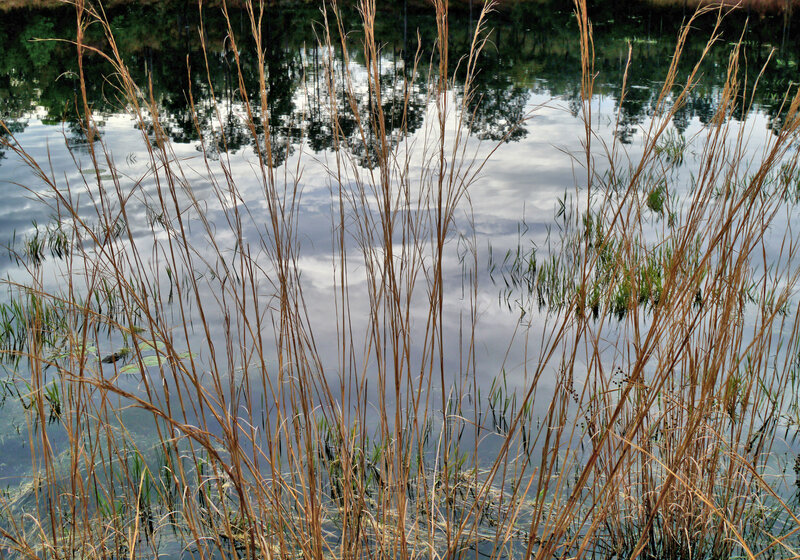 The creek is a true celebration of the richness and beauty of nature. 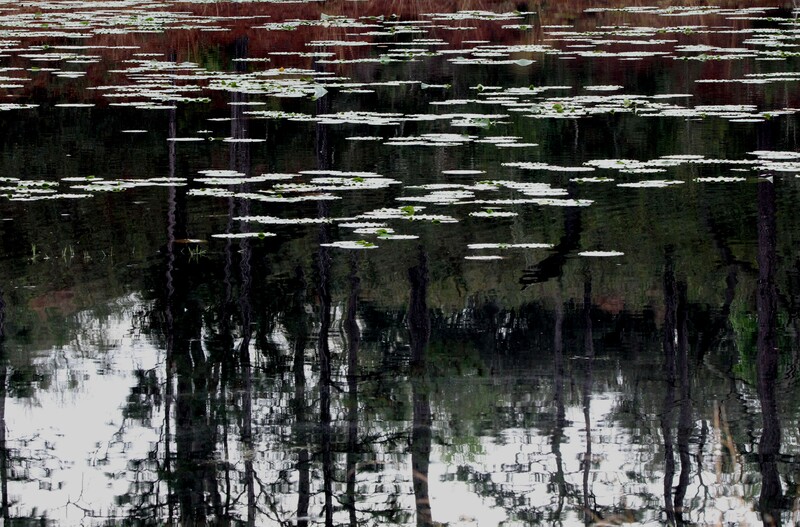 A small alligator checks us out, (Donna). 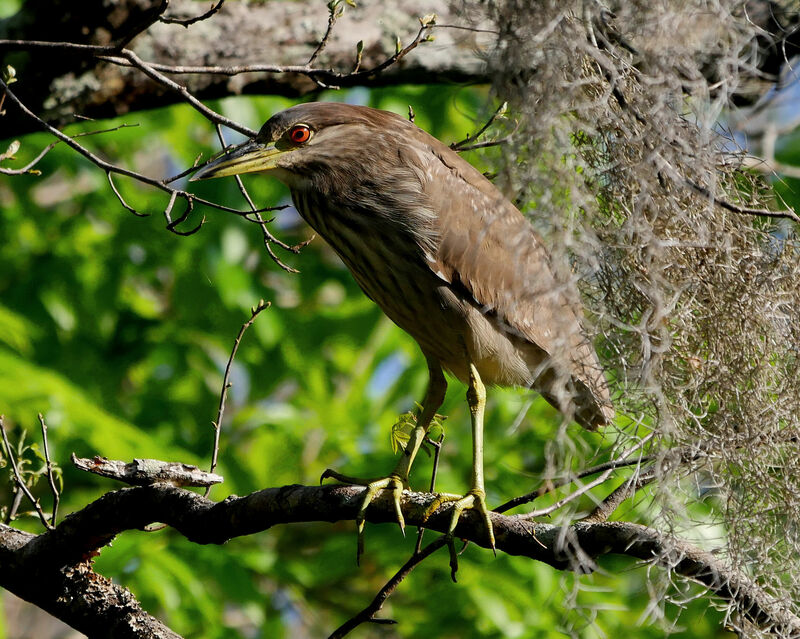 An immature Black Crowned Night Heron along Snake Creek, (Donna). 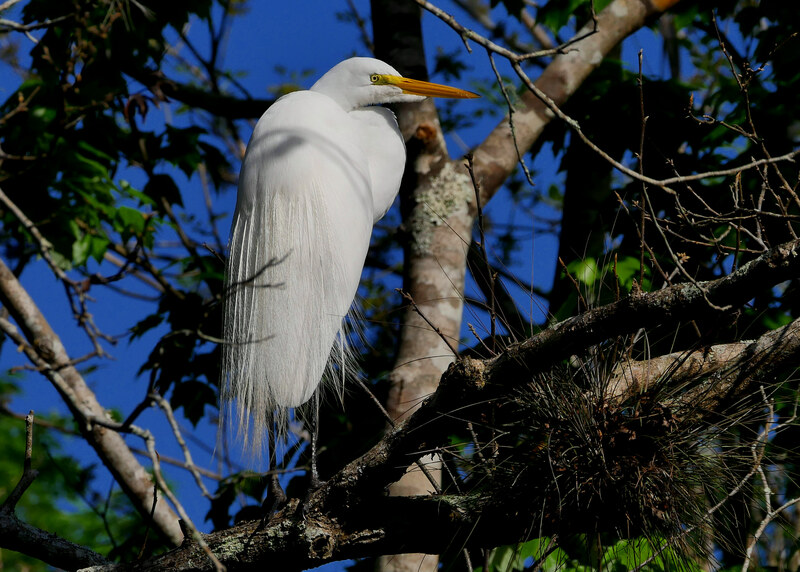 A Great Egret watches as we pass by. 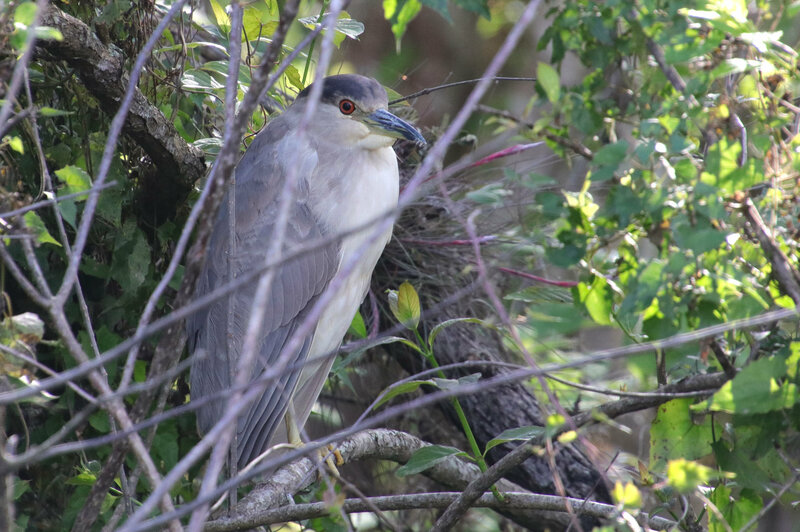 Black Crowned Night Heron along the St Johns River. 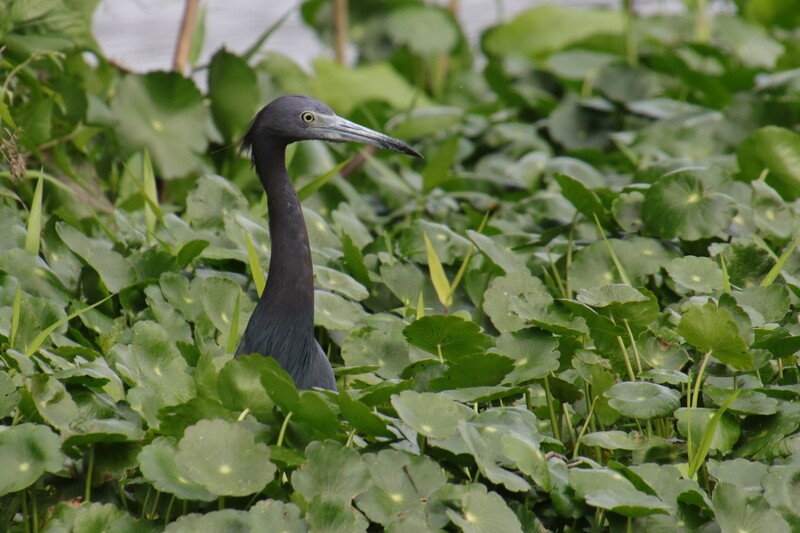 Little Blue Heron in the thick of it. 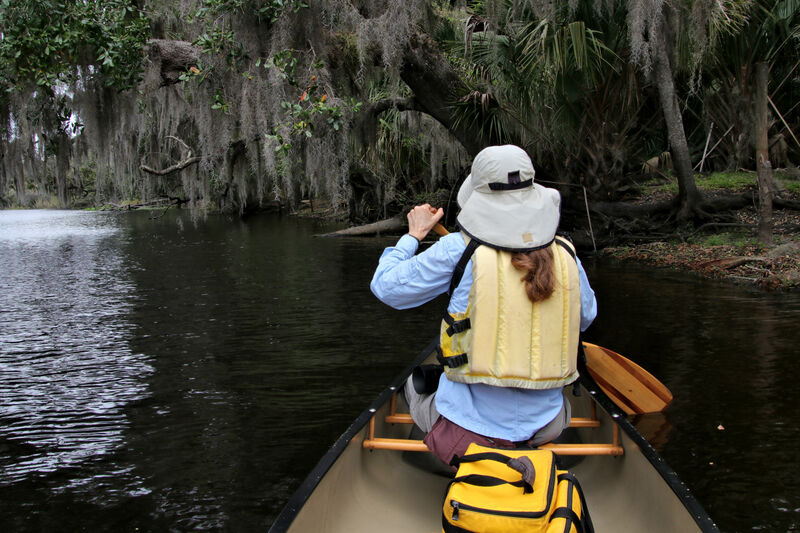 Snake Creek provided an intimate paddling experience. 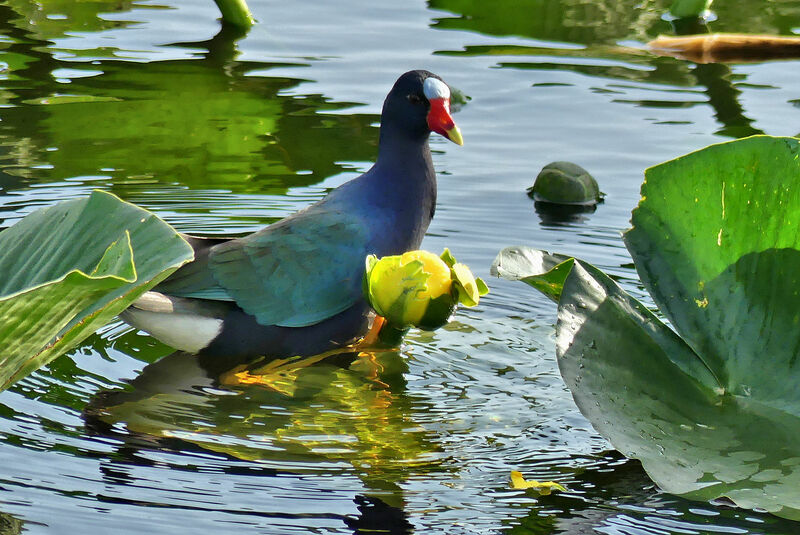 Purple Gallinule eating flower petals, St Johns River. 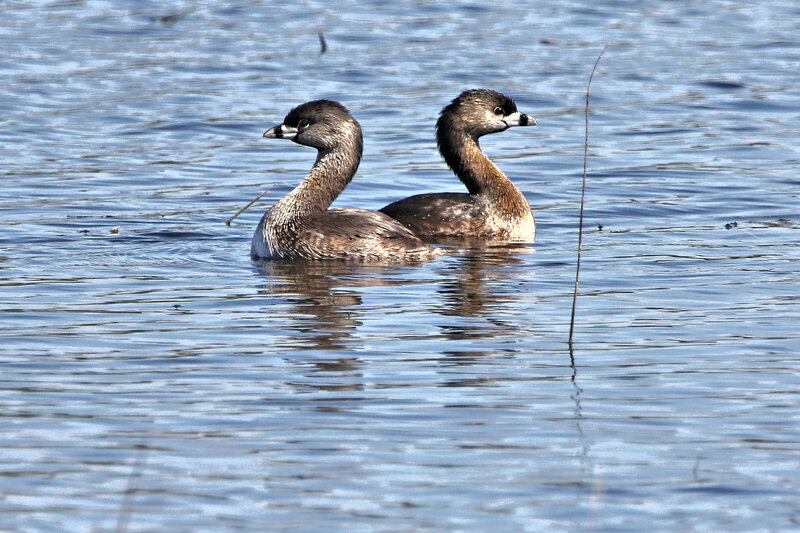 While paddling Snake Creek we came upon this mating pair at Turkeys. The male seemed not to be bothered by our presence. American Bittern along the St Johns River. 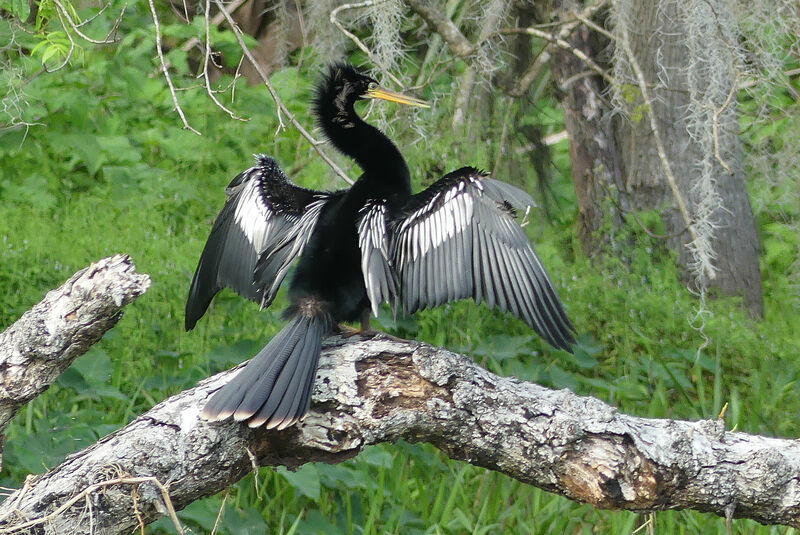 Although they are common, Anhingas always catch our eye. 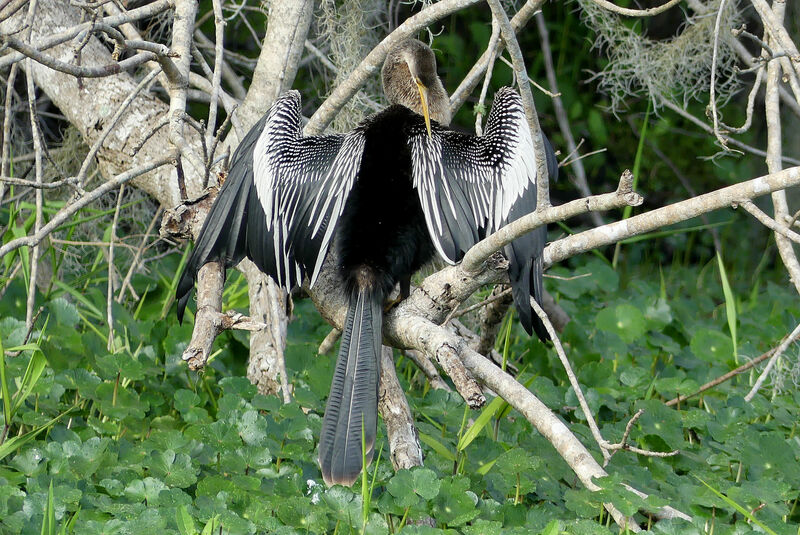 Male Anhinga dries it’s feathers along the St Johns River. 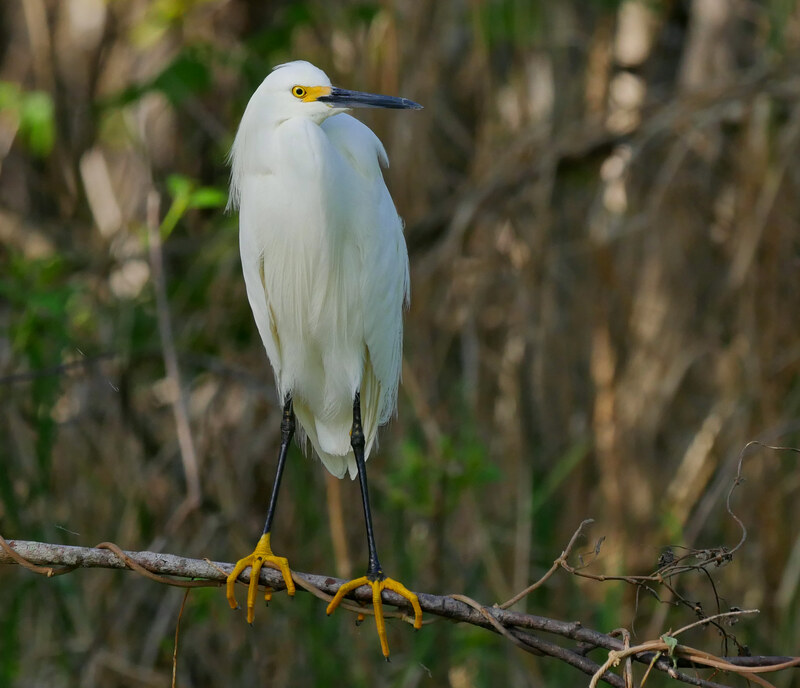 A Snowy Egret shows off its yellow feet, (Donna). 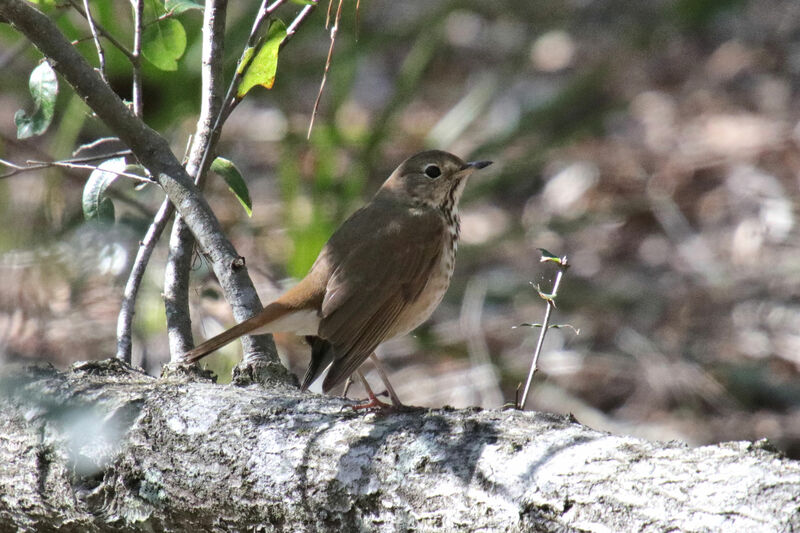 Unlike Blue Springs which provided excellent opportunities to observe wildlife from the water, hiking was the best way to do so at Mike Roess SP. A plus was that there were no crowed parking lots or large numbers of people to negotiate when one left the campground. 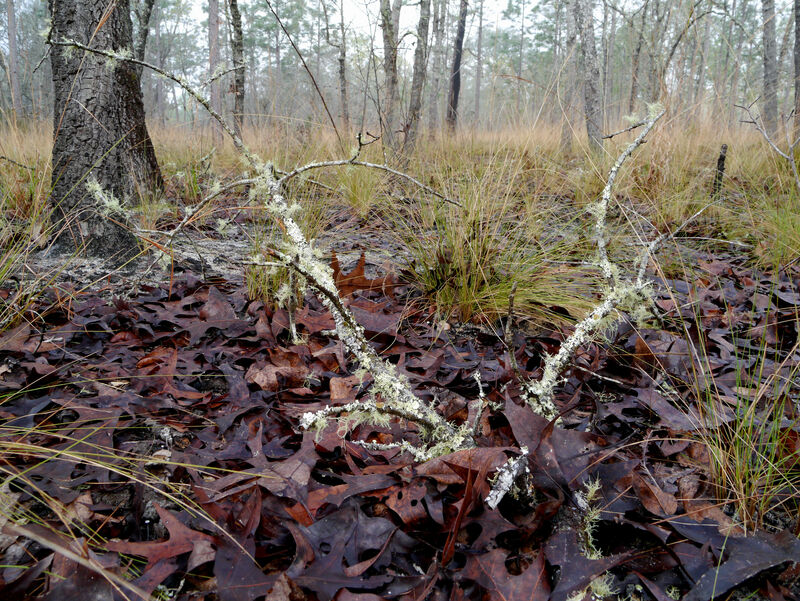 There were areas to explore around the park’s several small lakes and along one fairly long designated hiking trail. We enjoyed the park’s quiet subtle beauty. 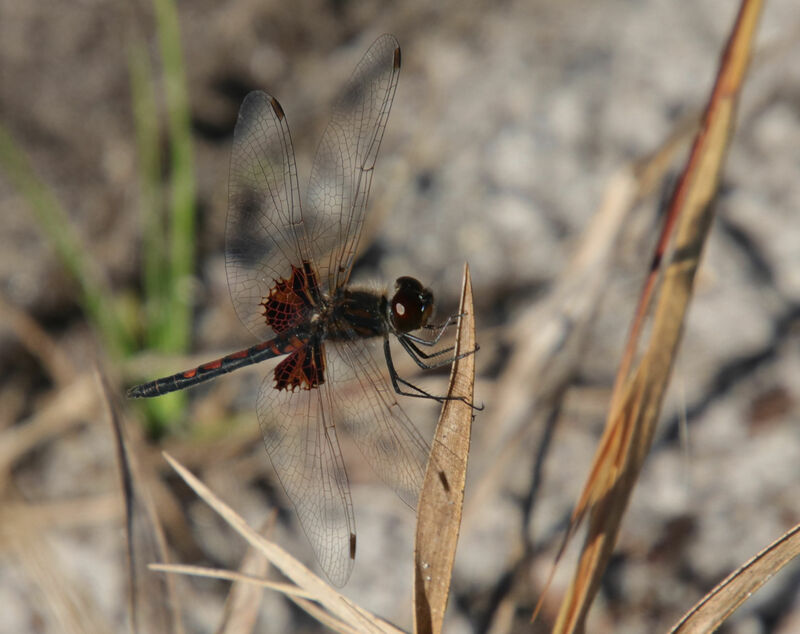 Walking the shoreline of the parks small lakes was an excellent way to see insects. 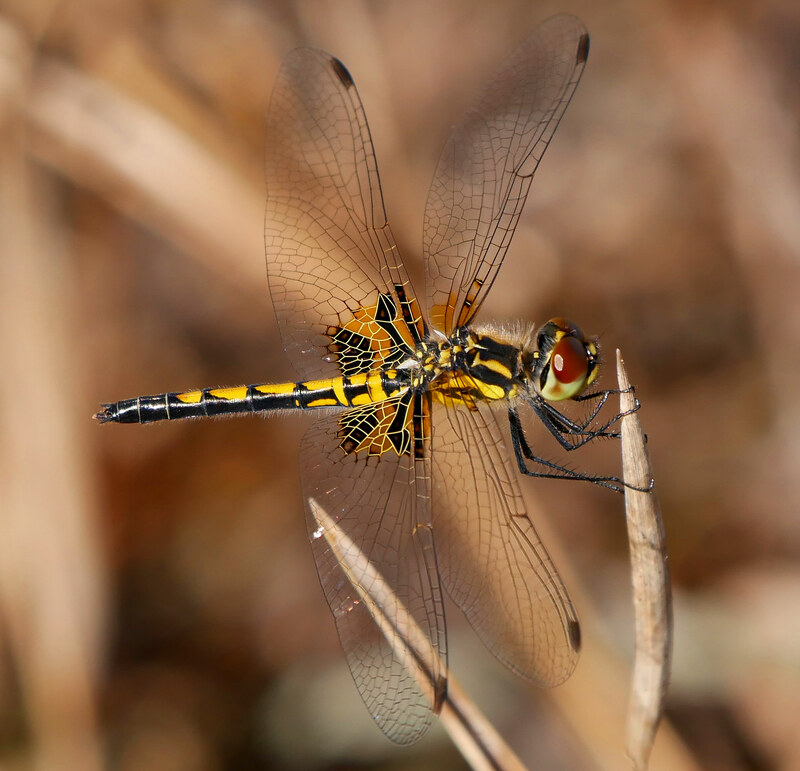 Some of the dragonflies and damselflies seen were new to us. 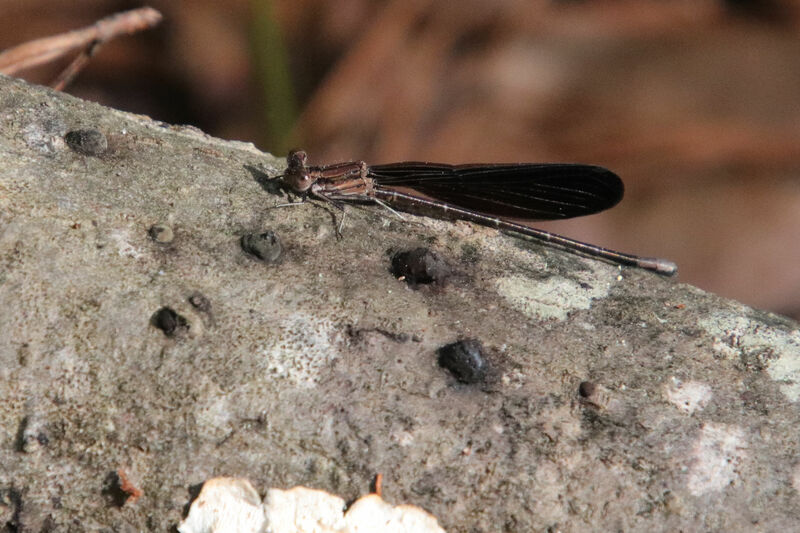 The Variable Dancer Damselfly is one we haven’t seen further north in Ohio. 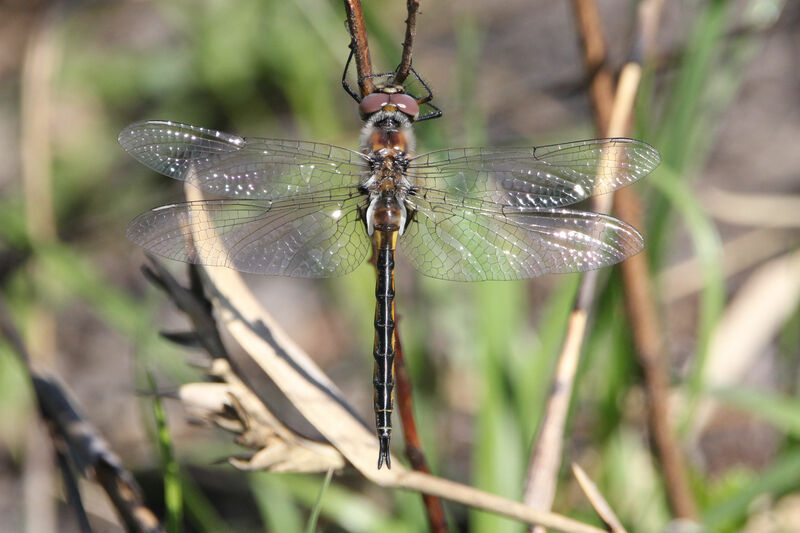 The Stripe-winged Baskettail is another dragonfly we’ve not seen further north in Ohio. 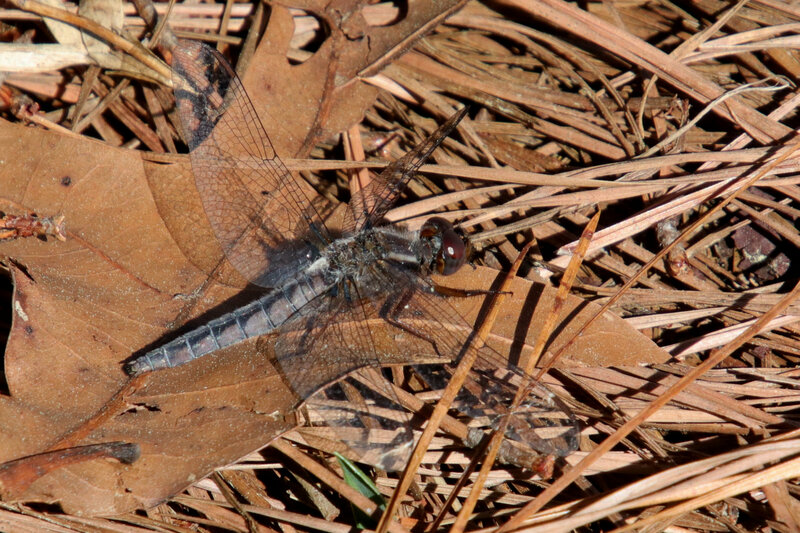 The Blue Corporal often perches on the ground, (adult male). 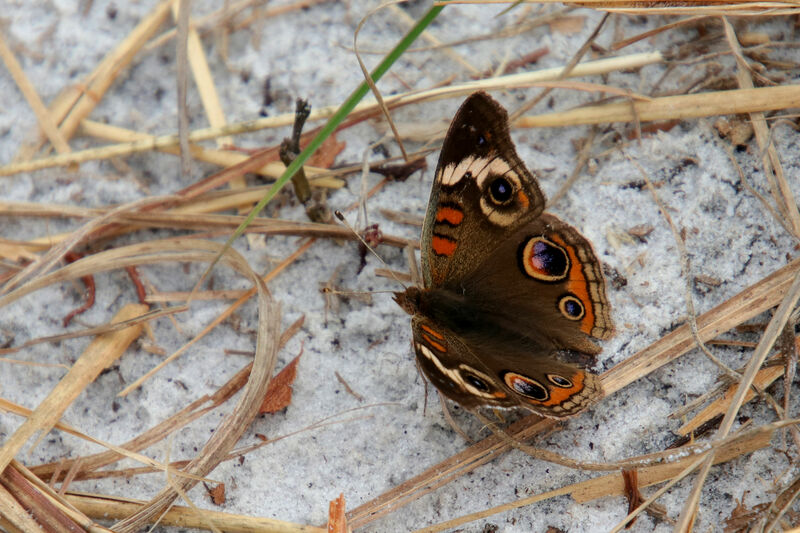 The Buckeye is usually seen in late summer in Ohio. 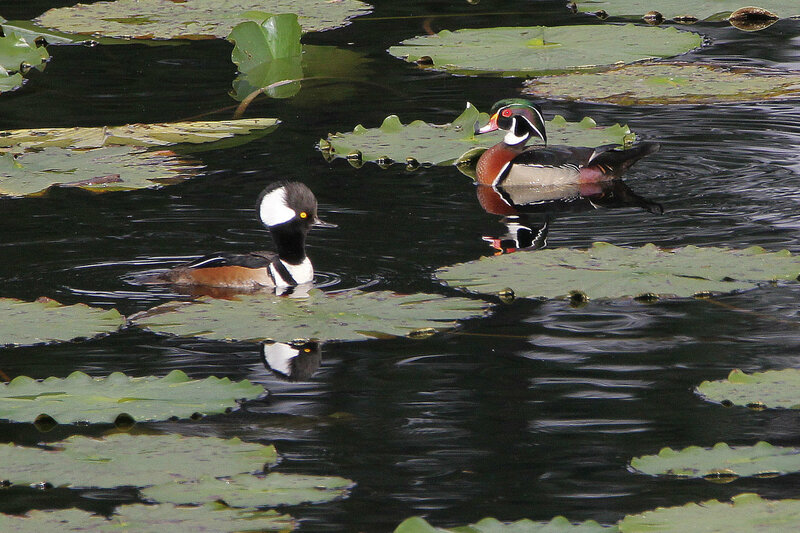 A Hooded Merganser and a Wood Duck pose. 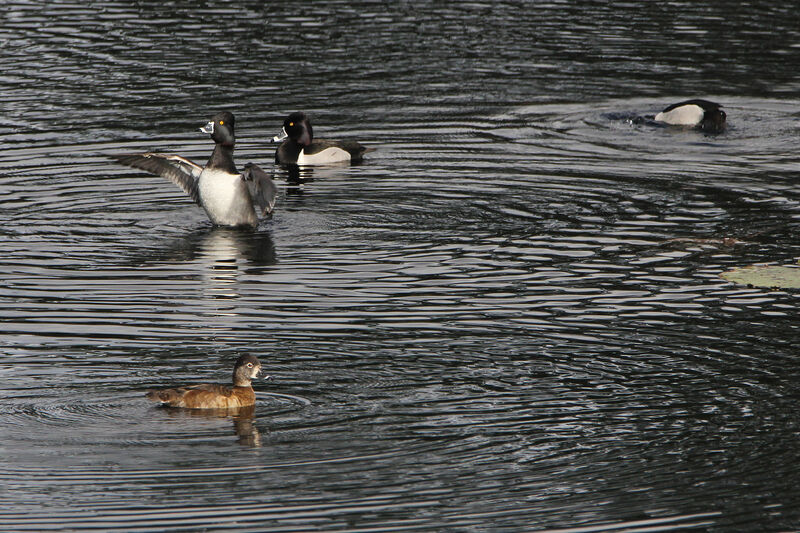 There was a sizable population of Ring-necked Ducks on the small park lakes. 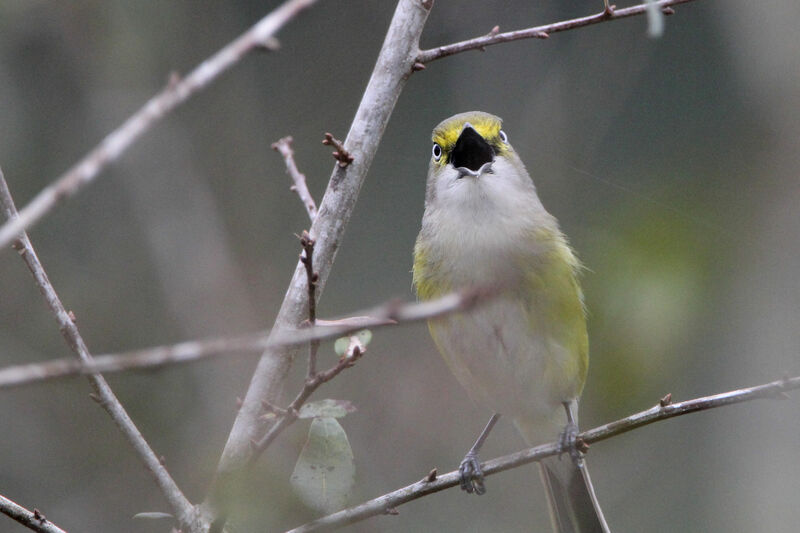 A White Eyed Vireo announces its presence. 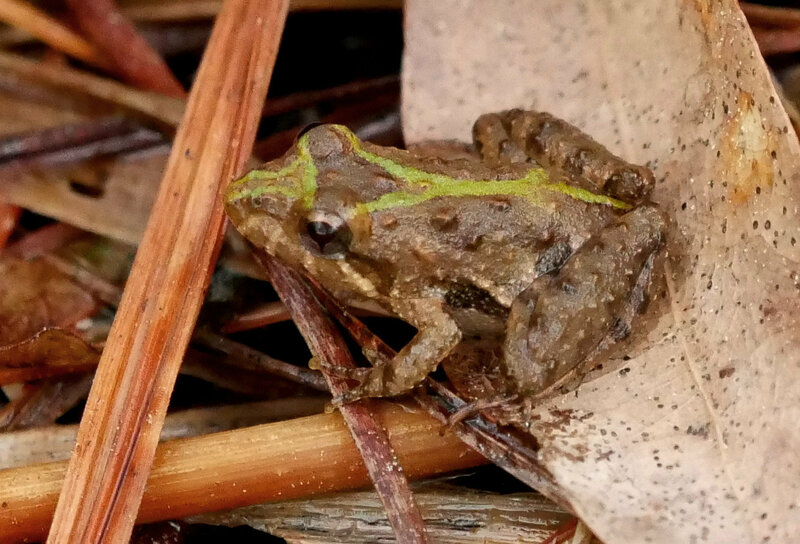 Cricket Frog at waters edge, (Donna). 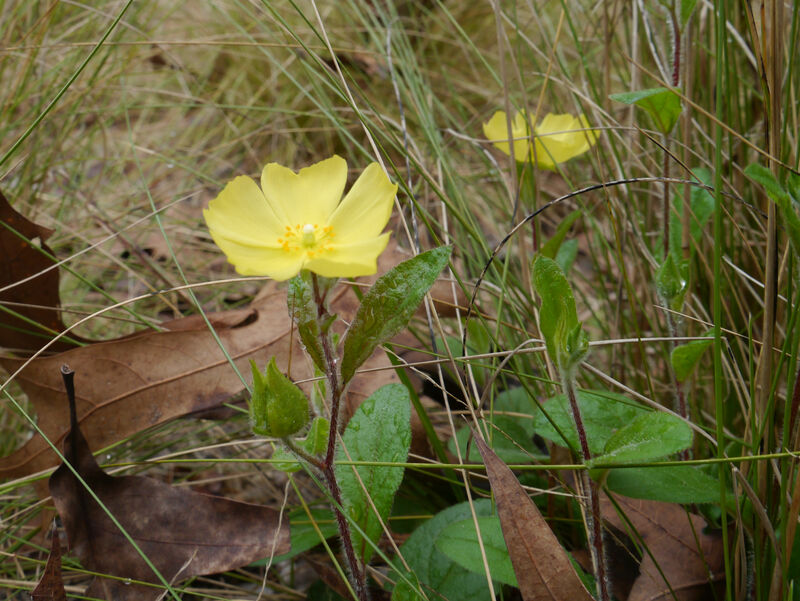 Unfortunately these lovely but uncommon little flowers that liked the park’s sandy soil remain unidentified. 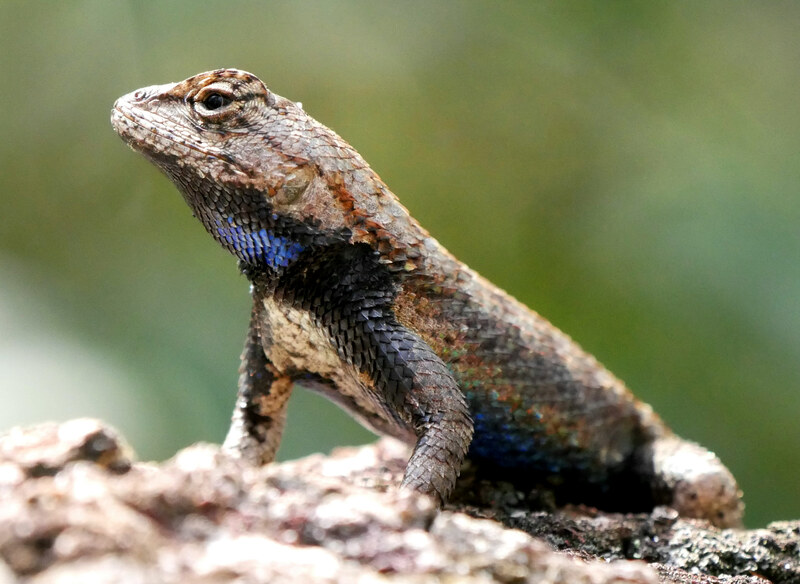 A Fence Lizard shows it’s underside, (Donna). 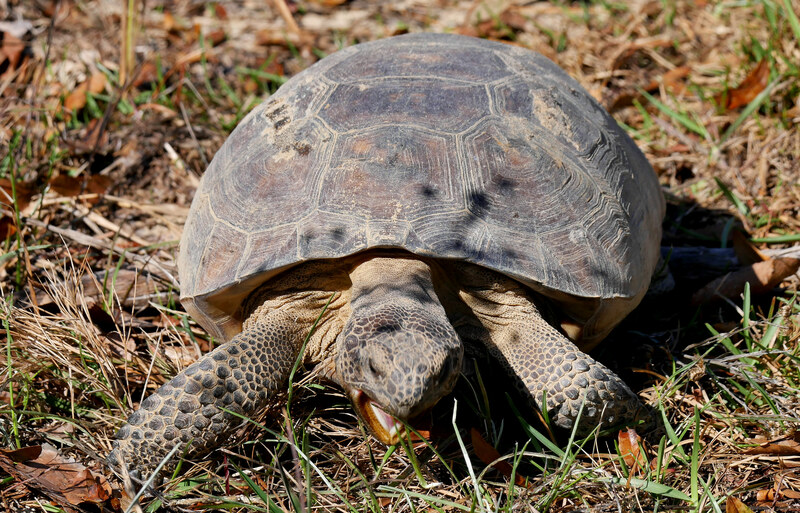 A Gopher Tortoise enjoys some grass, (Donna). 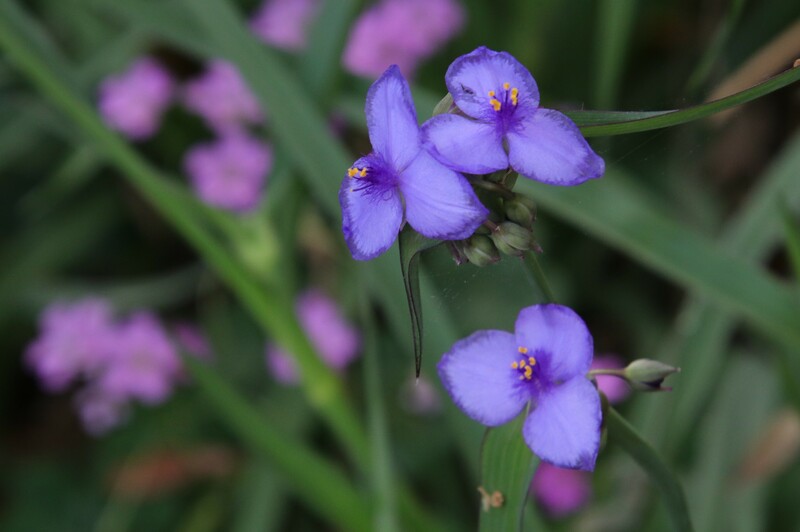 Another small flower that was only seen a few times during hikes has eluded identification. 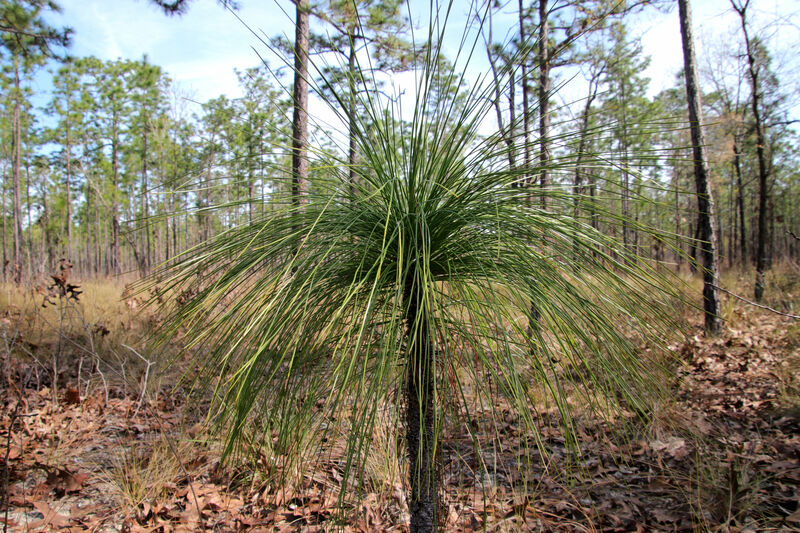 A Long Leaf Pine just starting out. Leaving Mike Roess we’d completed six weeks of exploring nature in Florida. 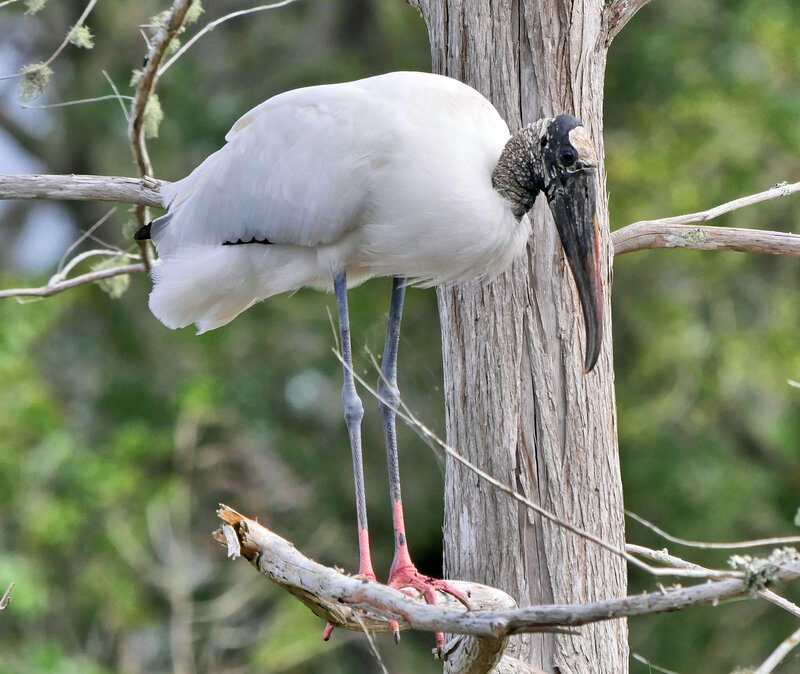 As we looked forward to spending time at Paynes Prairie Preserve and Black River SP before heading north to early spring in Ohio we couldn’t help but feel incredibly blessed. It promised to be another hot day, but with the sun just rising when we launched it was still pleasant, giving only a hint of the heat to come. Alum Creek Reservoir at Cheshire Rd. Considering the forecast our goal was to be off the water by noon. The wind hardly rippled the water’s surface as quiet paddle strokes moved the canoe toward an area of Alum Creek Reservoir that we hadn’t explored in a while. Two days earlier during an early morning fishing trip I had surprised a Bald Eagle in a tall tree at waters edge. Now with my wife along to handle photography from the bow, I was hoping we would see, and perhaps photograph, some equally interesting things as we explored the coves along our route. For those new to this blog, we love to paddle and to eliminate the need to shuttle cars we usually paddle reservoirs, the more convoluted the better, to maximize time in the canoe. 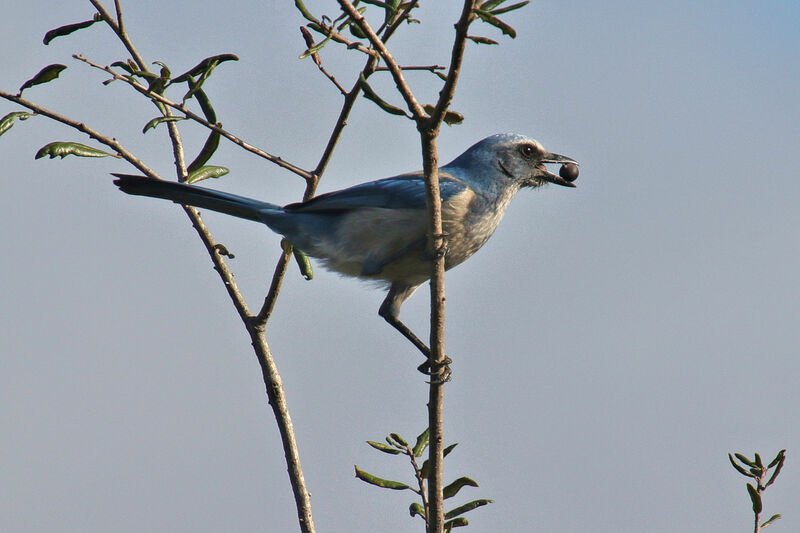 No matter how one feels about damming up rivers to create reservoirs, in the case of Alum Creek Reservoir it did result a wonderful place to explore containing a rich variety of wildlife. Unlike the often cottage lined predictable shorelines of spring fed glacial lakes in northern states like Michigan, the many small ravines that followed slopes down to the creek resulting in an almost endless number of coves to explore with the coming of the reservoir. In addition, because the reservoir is surrounded by parkland there are virtually no buildings or homes along it’s shore. 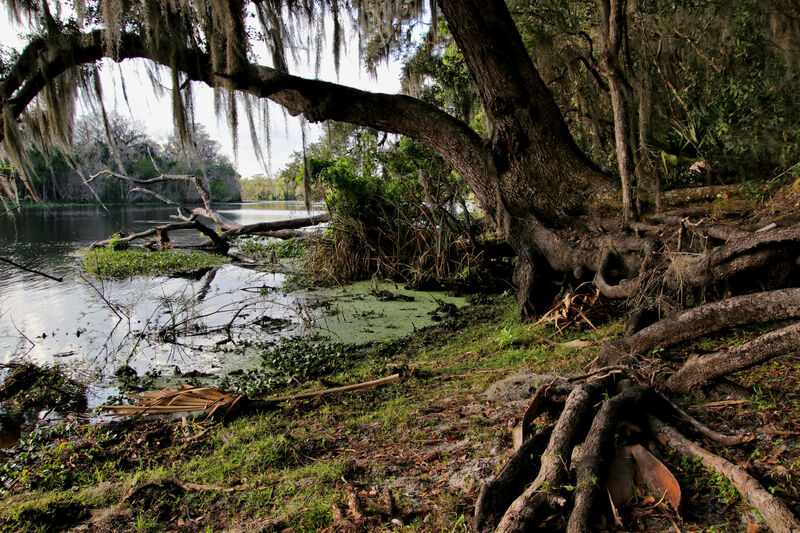 With rainfall this year about six inches above normal giving rise to higher water levels, the lush shoreline vegetation reached right down to waters edge and at times gave the feeling of paddling through a jungle. 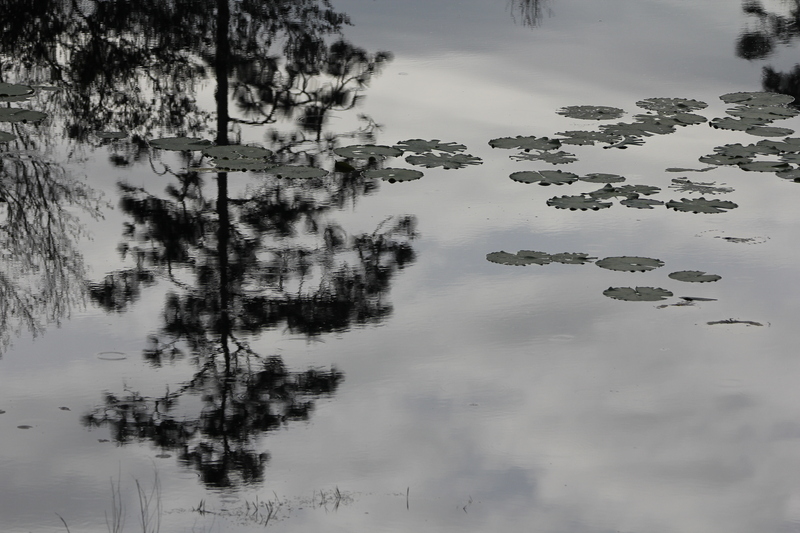 Beautiful reflections as the reservoir narrows into a creek, (Donna). 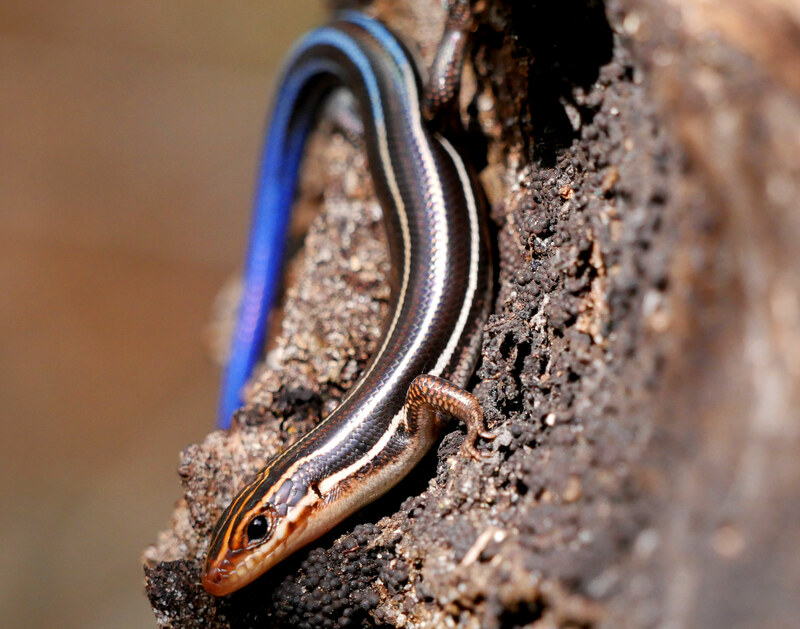 As nature photographers know, what one sees and what one has a chance to photograph are seldom the same. Particularly when in a canoe which has it’s own stability, speed, and mobility constraints. It turns out that at the very north end of our route we saw a Yellow-crowned Night Heron. The first one we’ve ever seen in Ohio. A little later a pair of very wary Great Horned Owls were seen. The surprised heron spotted us just as we rounded a tight bend in what had become a narrow snag infested creek. It flew before we could react. The outcome was similar for the owls. 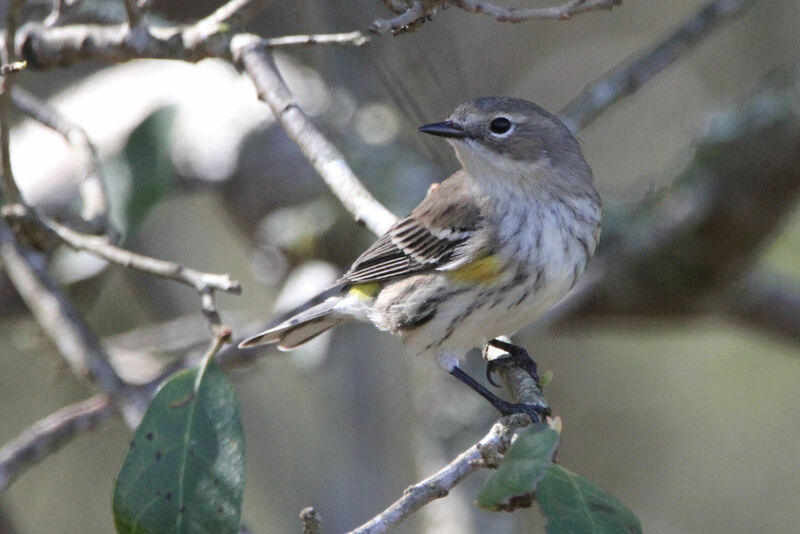 They were perched high in a tree canopy partially obscured by low lying brush and saw us coming despite our best efforts, moving a little further away each time we tried to get closer. But there are always other things to marvel at. 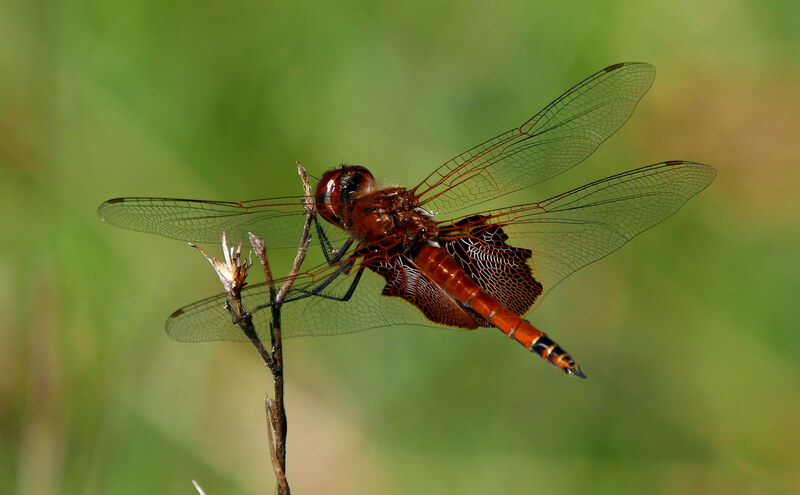 A male Eastern Amberwing perches right near the canoe as we wait quietly in a secluded cove, (Donna). 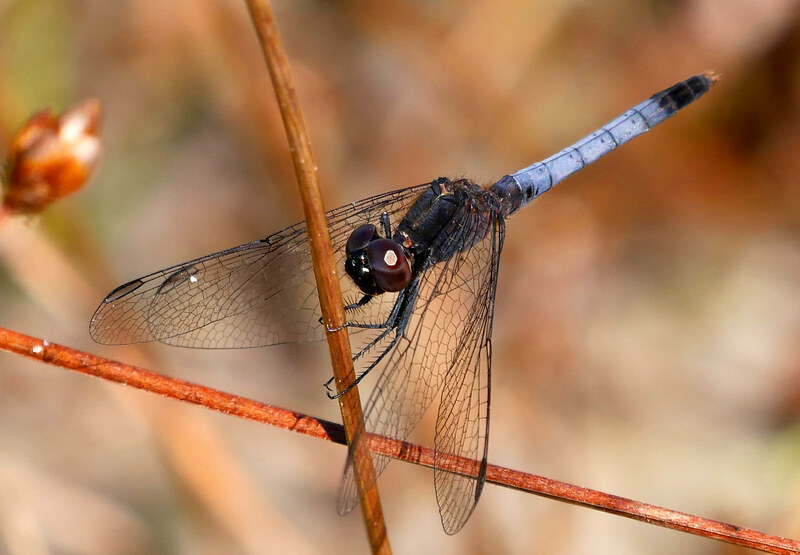 A Slaty Skimmer enjoys the morning sun, (Donna). 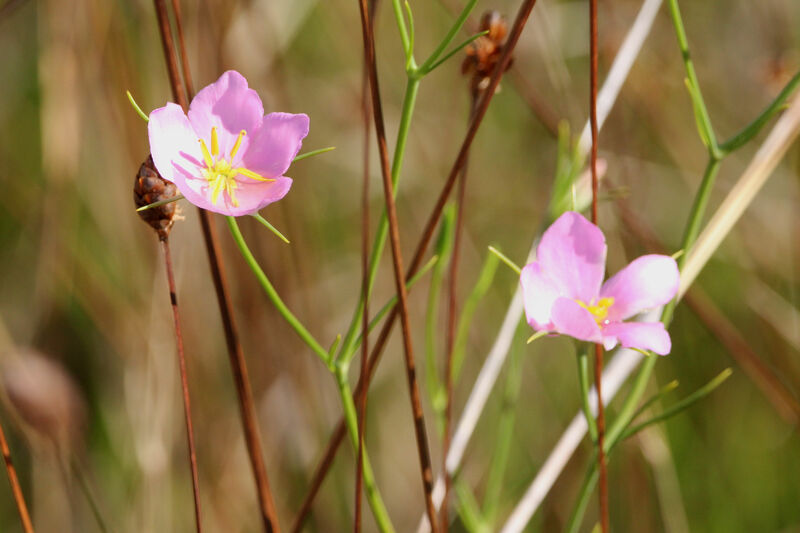 As we paddled along the shore we were often overwhelmed by the aroma of wild roses. Donna looks for the best composition. Water loving Lazard’s Tail at waters edge, (Donna). Entering some coves small, noisy, and mostly invisible birds were everywhere. Donna points to what turns out to be a White-breasted Nuthatch. Along one stretch of open rocky shore a group of sandpipers, always just a little ahead of us, hurried as we approached. On this particular day the turtles were a little more cooperative than the birds. 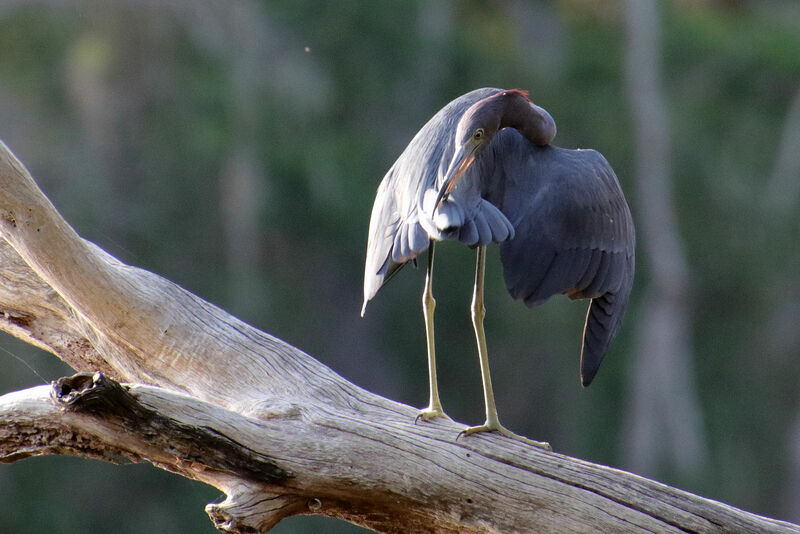 If you travel north to Michigan with it’s colder clearer lakes and streams you typically don’t see as many egrets and herons but in Ohio they are very common. I could be wrong but I’ve often thought it’s because the rough fish (catfish, suckers, carp, shad, etc.) that call Ohio’s often turbid waters home are just easier to catch. A Great Egret gets ready to strike . . . . It heads back to it’s perch . . .
to regain it’s composure and try again. Along the shore a Great Egret and a Great Blue Heron seem to be getting along just fine, (Donna). 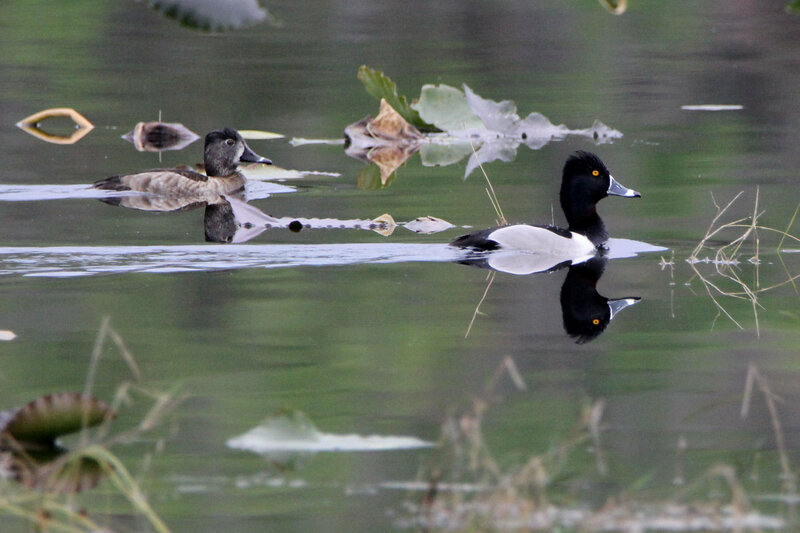 Sometimes it’s luck, sometimes persistence, and yes it’s true knowledge and skill do come into play, but if you hike a trail or paddle a lake often enough you will see new and fascinating things. In the woods or by a meadow, stream, or lake on any given day, even if nothing new is seen, you will at least return having allowed yourself to be there for a time, in the still freshness of the early morning with the call of the Wood Thrush, or later to the sound of wind as it dances with leaves, breathing air with a hint of wild rose.